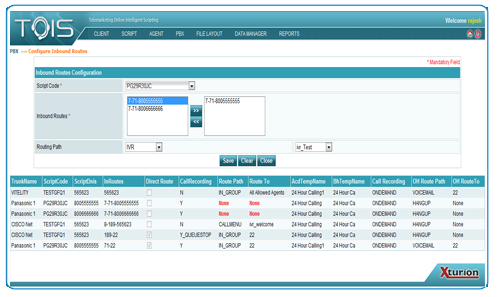 PBX module of TOIS would enable users to configure automatic call distribution including inbound and outbound routes. PBX trunks can be configured and managed. Call recordings are available including call barging. Real-time dashboards are available for concerned stakeholders to have an understanding of current status.